Katie earned a Master's in Public Health at UC Berkeley with a concentration in Public Health Nutrition. She holds a B.A. in Environmental Studies from Wellesley College and is passionate about improving access to quality food for all, and ensuring that the people who produce our food are themselves able to lead healthy lives. Having spent most of her life in rural Northern California, she is particularly concerned with issues facing the many small agricultural towns in the Central Valley. As Communication Coordinator for the CDC-funded Partnerships to Improve Community Health project with the Merced County Department of Public Health, she worked to promote a culture of health in Merced County. 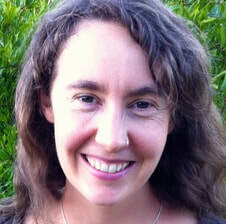 She is currently a nutrition specialist with the University of California Division of Agriculture and Natural Resources. She also co-manages her family's small, sustainably-minded vegetable farm in the Sierra Foothills. 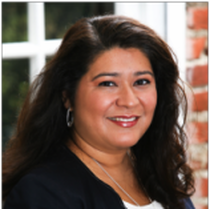 Paula holds a Bachelor of Science in Genetics from the UC Davis, and a Masters in Public Health (Epidemiology) from the UC Los Angeles. For the last 15 years, she has worked to reduce health disparities dealing with STDs, HIV, Obesity, and Cancer. As a Public Health professional, her primary interests are in community participatory research and building healthy communities. Mrs. Amezola has been committed to supporting systems that would bring equity to underserved communities. At the University of Southern California she worked with the Annenberg School of Communication and the Keck School of Medicine, where she engaged in community asset mapping, coalition building, health communication, health policy and research. As the Communication Evaluation and Development Consultant, she advised on health communication design and evaluation. She is currently the career counselor for public health students at the Keck School of Medicine of the University of Southern California.